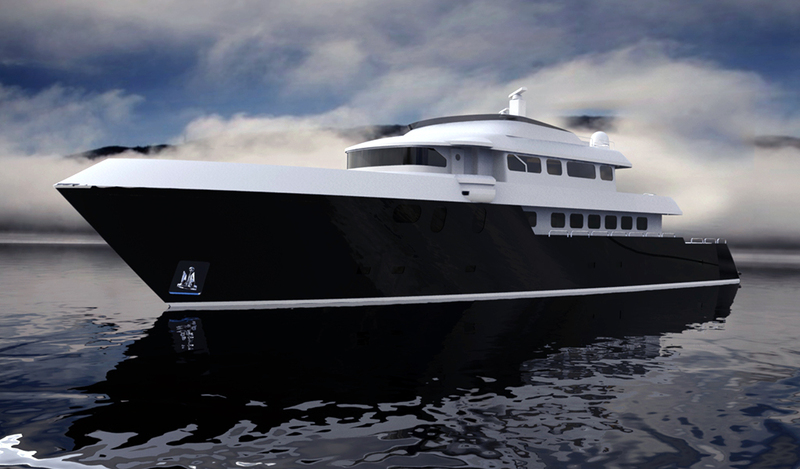 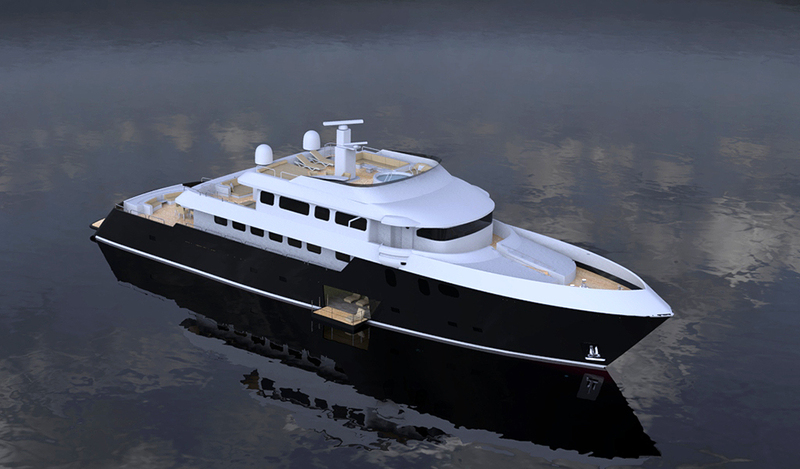 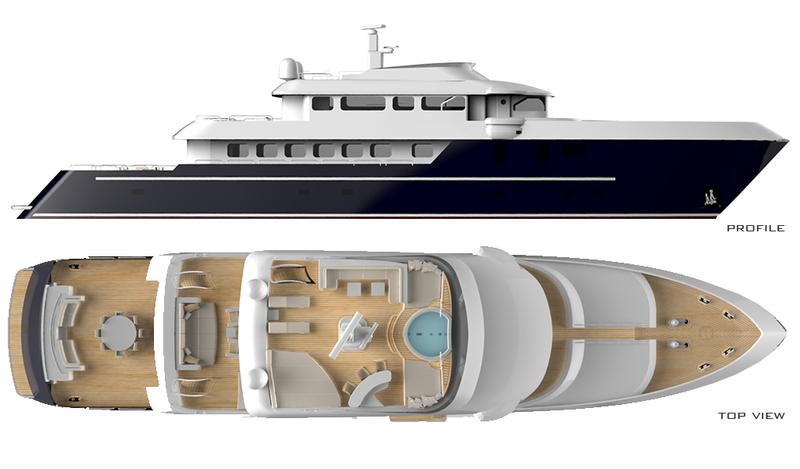 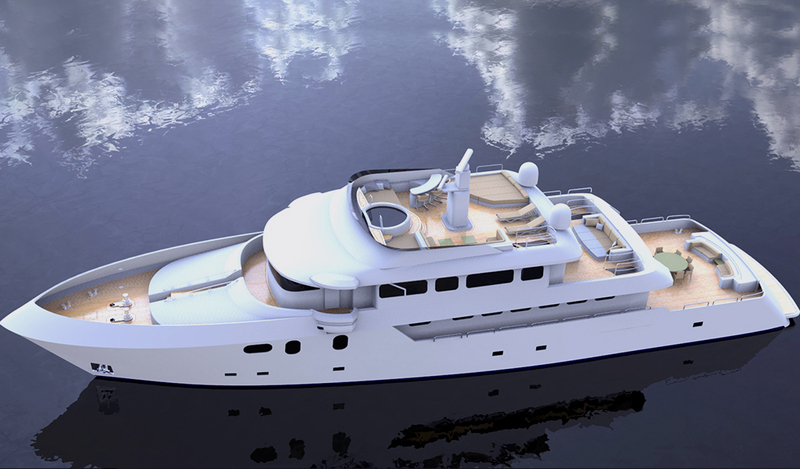 This 45m project is a trideck motoryacht with a long open aft deck. 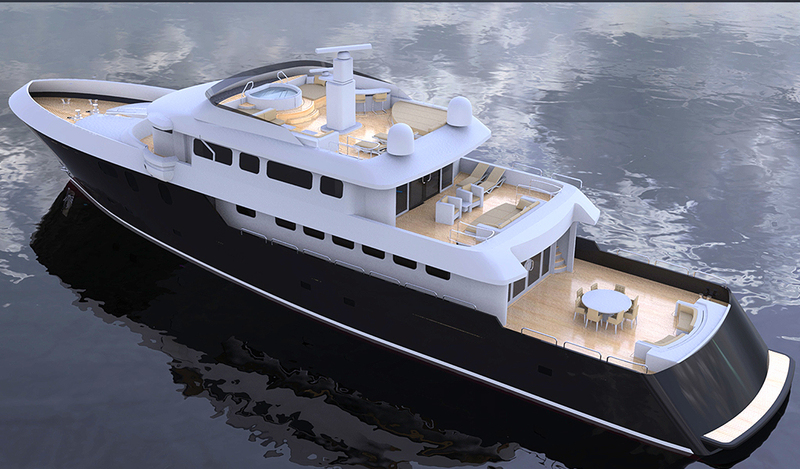 Her impressive interior volumes and open deck spaces make her perfect for private and exclusive cruising in the utmost comfort. 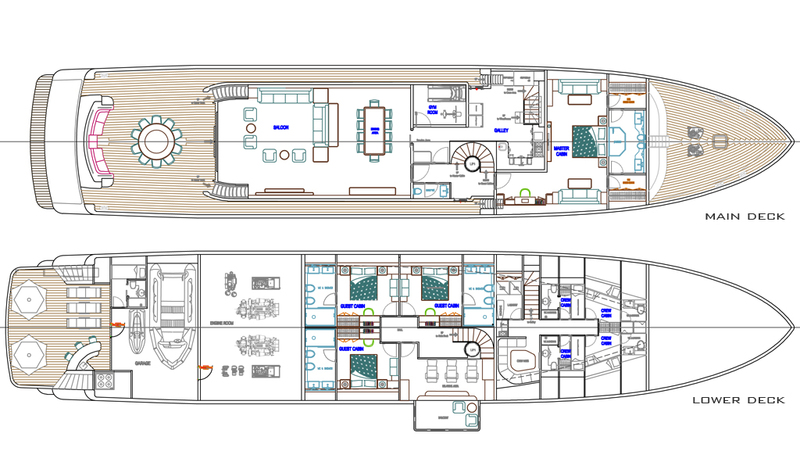 The upper deck offers a large owner stateroom and another master stateroom is located on the main deck. 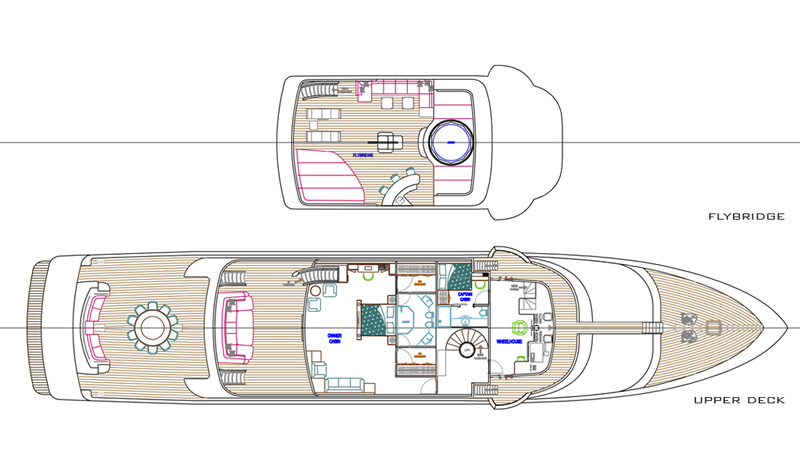 The lower deck includes 3 guest cabins and a relaxation area with a balcony. 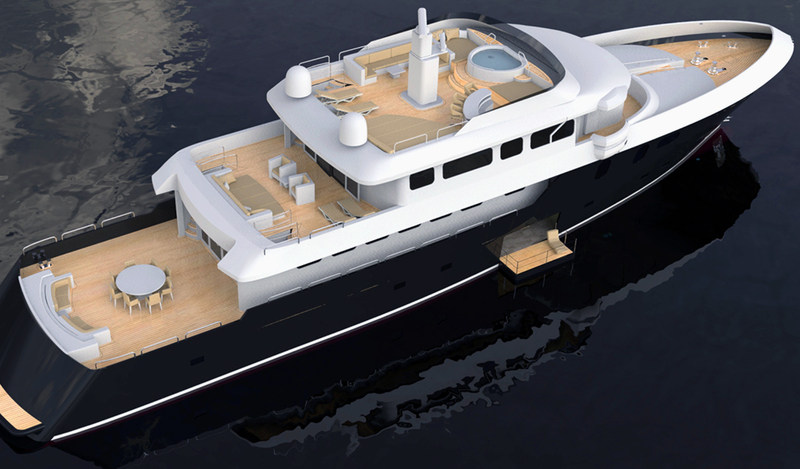 All of the decks are linked with single circular staircase and an elevator at the center of it.